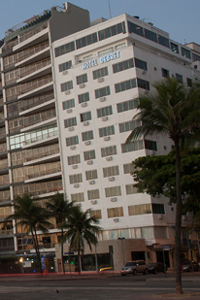 Only three blocks from the beach, the Mirador Rio is perfect for tourist or business travelers. The hotel has 138 rooms all featuring cable TV, internet access, telephones, air conditioning, sound systems, hairdryers, mini-bars, and safes. Also available for the guest’s enjoyment is a rooftop bar with breathtaking views of the Corcovado, and the Sugar Load Mountain, a fitness center, swimming pool, and a sauna. The restaurant offers complete breakfasts and delicious international cuisine for lunch and dinner. 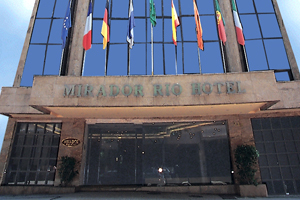 When would you like to stay at Mirador Rio Hotel ? 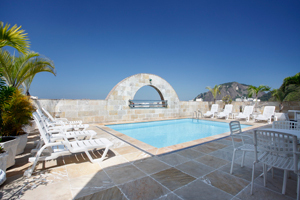 1) Rates at the Mirador Rio Hotel may not be valid during Carnival, New Years, Easter and other special dates.